Who Is an ERISA Fiduciary Now, and What Should One Be Doing? The definition of a fiduciary under ERISA has fluctuated in the past few years. What’s the status right now? In 2016, the Department of Labor (DOL) issued a rule redefining the meaning of the term fiduciary as it applies to investment professionals. In 2018, before the rule was fully in effect, a federal court vacated it on the grounds the DOL had overstepped its authority in writing the rule. So who is an ERISA fiduciary now, and what should one be doing? Short Answer: The existing rules originally spelled out in ERISA still apply. The easiest fiduciary to identify is the one named in the benefit plan document. ERISA requires every benefit plan to designate at least one fiduciary in the plan document. The named fiduciary is often identified by job title or position, not by the person’s name, so the plan document doesn’t need to be modified when a new person rotates into or out of that position. Gives investment advice regarding plan assets for direct or indirect compensation or has authority to do so. Many people involved with a benefit plan, such as plan administrators, trustees, directors and investment managers, are fiduciaries due to having discretionary authority or control over management of the plan or its assets as outlined in the first two numbered items above. Some investment professionals do not have this discretionary authority. However, the third numbered item above gives fiduciary status to financial professionals who give investment advice regarding plan assets for compensation. This means there are several ways financial professionals could become fiduciaries. They could have discretionary authority over the management or disposition of the plan’s assets, or they could give investment advice regarding plan assets. Either one triggers fiduciary status. What type of investment advice makes someone a fiduciary? ERISA established a five-part test to determine whether someone is giving investment advice in a fiduciary capacity. that the advice is individualized to the plan. Unfortunately, it is not always clear whether all five of the above tests are met. For example, the meanings of “regular basis” and “primary basis” have been subject to debate. Any of the five tests could be open to interpretation. Attorneys specializing in ERISA law can provide guidance when there is a question of interpretation. 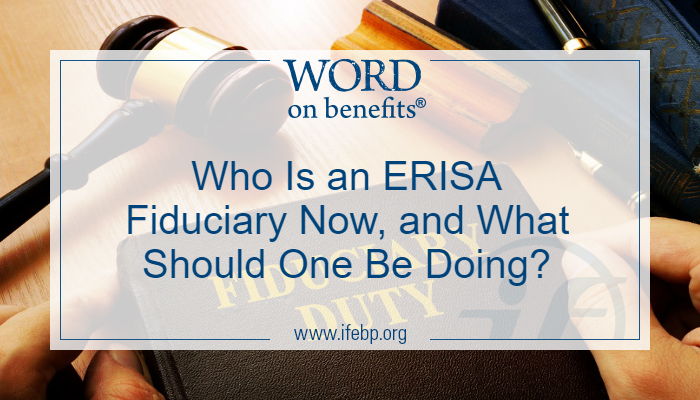 If a person is indeed an ERISA fiduciary, what are his or her obligations? ERISA requires fiduciaries to act with the care, skill, prudence and diligence under the circumstances then prevailing that a prudent person acting in a like capacity and familiar with such matters would use in the conduct of an enterprise of a like character and with like aims. In other words, the duty to act prudently doesn’t mean “do the best you can.” Instead, it’s closer to “come to a decision using a similar method an ethical expert in the same field would use in similar circumstances.” Acting as a prudent expert would is a very high standard to meet. This is a compelling reason to educate fiduciaries on their responsibilities and how to fulfill them. If the fiduciary is involved in any way with directing or managing plan assets, or hiring a service provider that manages plan assets, the fiduciary must make sure the plan assets are diversified in a way that minimizes the risk of large losses, unless it is clearly prudent not to do so. For a defined contribution plan like a 401(k) that lets participants choose their own investments from a menu, the options available on the menu must be diverse. In addition to loyalty, prudence and diversification of plan assets, ERISA fiduciaries must act according to the terms of the benefit plan documents. As long as a plan contains provisions that are not contrary to ERISA, the plan provisions must always be followed. These are the specific duties fiduciaries take on. Failing to carry them out faithfully can directly expose fiduciaries and the benefit plan to penalties and lawsuits. The meaning of the term fiduciary under ERISA has swung back and forth during the past few years. 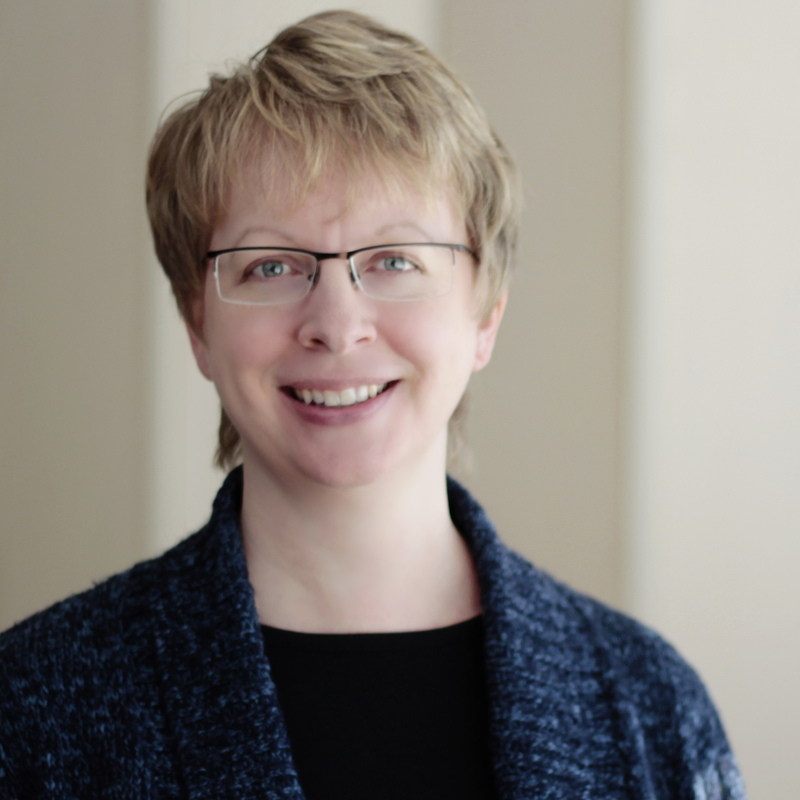 At the time of this blog post, the definition and responsibilities of benefit plan fiduciaries stand as originally spelled out in ERISA. While sometimes difficult to interpret, these rules must be followed. Fiduciaries can be held personally liable for breaching fiduciary duties. The benefit plan itself is also exposed to liability and penalties when a fiduciary fails to fulfill his or her duties. Educating fiduciaries on their duties and how to fulfill them is always wise. Consulting legal counsel experienced in ERISA law is recommended when questions arise. Developed by International Foundation of Employee Benefit Plans staff. This does not constitute legal advice. Consult your plan professionals for legal advice.